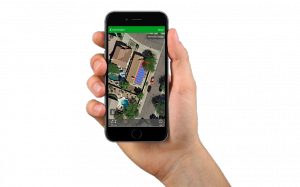 SCOTTSDALE, AZ, UNITED STATES, June 28, 2018 /EINPresswire.com/ -- SolarUp, the intuitive solar app designed to make project development easy for both consumer and solar professionals has just been released to Apple's App Store. Its user friendly interface allows easy access to a precision design, layout, and sizing tool with no to little training. The application allows both solar professionals and consumers to visualize PV solar energy solutions with an advanced auto CAD feature. The app also develops accurate energy modeling with sizing options. Users can create, edit, and share their solar designs with coworkers, friends, and family anywhere from their tablet or phone. SolarUp also eliminates the need for the initial engineering process as well as the initial salesperson (for consumers). Solar professionals and consumers can easily determine what size system their property needs and what size their available roof space can accommodate. This app claims to drastically simplify the solar buying and selling process. Gone are the days of the long engineering or CAD processes to find a design that fits a site. No more multiple appointments, incorrect sizing, and high-pressure sales pitches when a potential customer is simply inquiring. Consumers can request an optional solar proposal when ready within the app and SolarUp will include a “fremium” version that allows 3 free designs. 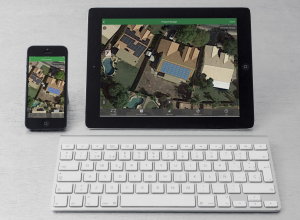 With SolarUp, users can start and finish a solar project all, on their mobile device. 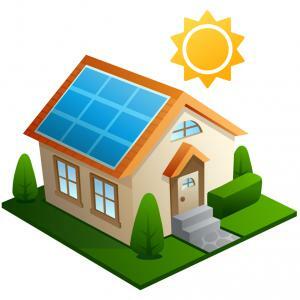 With the growing movement toward green energy sources, and solar power in particular, this app and technology fills a need in the industry that will make the transition to buy and sell solar power a more smooth and painfree one. SolarUp is now available worldwide and free to Download on App Store and iOS devices. Coming soon to Google Play and android devices. Please visit our company website www.solarupapp.com for more information, screen shots, video previews, and tutorials. Developer Info: Development company, Earth Wise LLC has over 10 years of solar industry experience prior to developing the SolarUp app. The company goal has always been to educate and accommodate the client in the most streamlined and personable process as possible. Eliminating unneeded but certainly not all human interaction was the brainchild for the SolarUp app.